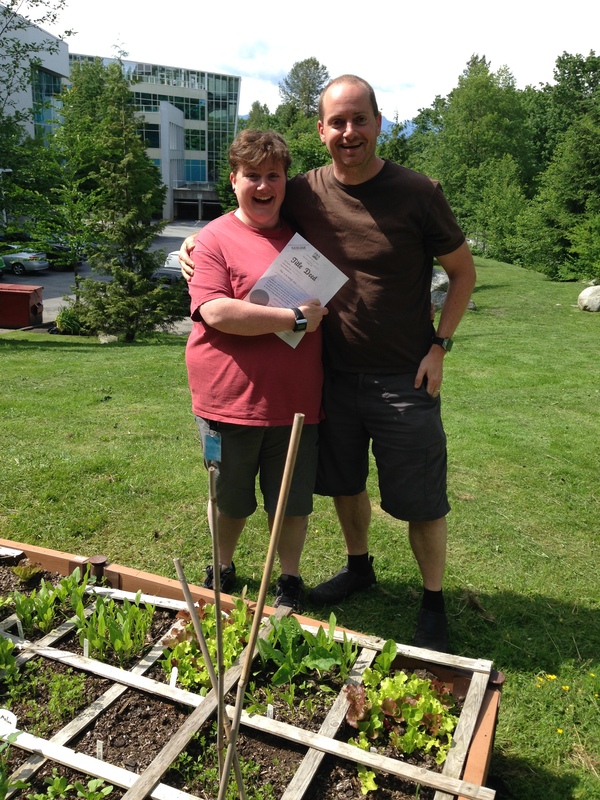 “Formal” handover of my raised bed at EA Burnaby to my friend Kris Stewart. Leave the company, lose your veggies! What a great perk this is. On-site gardening, for a lovely change-of-pace and re-connection with nature when you need it.